The Dublin Metropolitan Police (DMP) Prisoners Books for 1905-1908 and 1911-1918 are amongst the most valuable new documents to come to light on the revolutionary decade. They include important information on social and political life in the capital during the last years of the Union, from the period of widespread anticipation of Home Rule, to the advent of the 1913 Lockout, the outbreak of the First World War, the Easter Rising and its aftermath, including the conscription crisis of 1918. 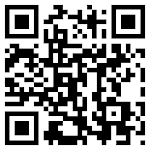 They will also be invaluable to those interested in criminology, genealogy, and family history. The collection comprises of four large leather bound, double ledger volumes containing hand written entries that record the details of daily charge sheets issued by DMP members to offenders or alleged offenders. Each volume contains the name, age, address, occupation, alleged offence and, in most cases, outcome of cases involving over 30,000 people arrested by the DMP. Each volume also contains an index of prisoners with references to the pages containing details of the charge. Three of the four volumes bear the title “Prisoners Book” and each page of arrest records has the running title “Prisoners charged with offences involving dishonesty”. Three of the volumes are numbered on the spine - the first volume in the collection as 1, the third as 4, and the fourth as 5. The third volume in the collection is missing the number on the spine, but as the entries in this volume are dated immediately before those in book number 4, it has been assumed that this volume was numbered as 3. There is a gap in the dates between the volume numbered as 1 and this volume, so it is assumed that there was a volume number 2. It is unknown whether this volume survives. Volume 1 records all those arrested from April 1st 1905 to January 1st 1908. The second volume (assumed to be number 3) runs from January 1st 1911 to September 30th 1913. Volume 4 contains the entries from October 1st 1913 to 31st December 1915. Volume 5 records the arrests from January 1st 1916 to September 30th 1918. Each volume has a name index at the back - simply look up the name of interest, and if you find it there, look up the original entry at the page number directed to. My next Scotland 1750-1850: Beyond the OPRs course starts Monday 17th May - see http://pharostutors.com/details.php?coursenumber=302. 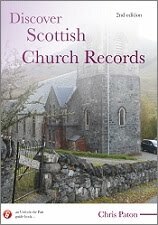 For details on my genealogy guide books, including A Decade of Irish Centenaries: Researching Ireland 1912-1923, Discover Scottish Church Records (2nd edition), Discover Irish Land Records and Down and Out in Scotland: Researching Ancestral Crisis, please visit http://britishgenes.blogspot.co.uk/p/my-books.html. Scotland 1750-1850 course starts May 17th!